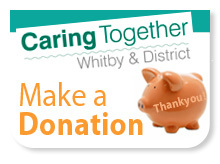 Whitby & District Caring Together is a local voluntary organisation and registered charity that provides practical and emotional help for carers, the people they care for and older people living on their own. The service is provided by volunteers and is taylored to individual need. Visits can be made on a regular or more flexible basis. * For unpaid carers we offer a Sitting Service so they can take a break from the caring role, knowing someone they can trust is with the person they care for. * For older people living alone who have difficulty getting out we offer a volunteer who will visit for a coffee and a chat on a weekly basis. * For both unpaid carers and clients we organise regular Support Groups which could be purely social events or theme-based. We are working in rural locations to provide social events to people who have difficulty getting out. More details can be seen on the News and Information page. In Lythe village hall there is a monthly 'Community Breakfast', with guest speakers. In Hinderwell Methodist Church there is a 'Hinderwell Friends' coffee morning for a general chat. 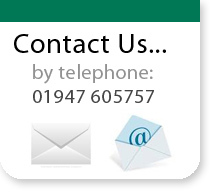 If you would like to find out more about these services and how they might be of help to you, or to someone you know, call us on Tel.01947 605757. 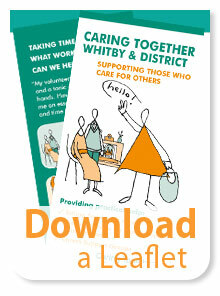 It is important that all carers take a break to see to their own health and social needs or spend time on their non-caring roles (Parent, Grandparent, Friend etc..) We run a Sitting Service for carers, provided by volunteers, to enable carers to have a break from their caring responsibilities. All our volunteers have been police-checked (DBS) prior to matching with a person and are provided with contact details so they can alert a carer if the person they care for seems unwell. We run a Befriending Service for older people living alone who have an identified carer not living with them. These people would benefit from extra company and support - sometimes they are more confident about going for a walk if accompanied by a volunteer; sometimes its just a friendly face and a listening ear to look forward to. 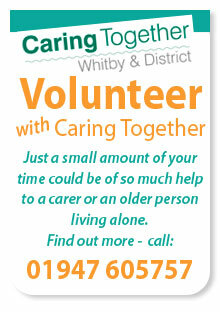 We offer support groups for carers and ex carers meeting monthly in the Whitby area. The group sometimes has a speaker on a subject chosen by them and the meetings offer carers the opportunity to share their concerns, receive some positive support and simply take a little time-out to relax. We also arrange a summer event in Carers Week and a Christmas Lunch. “Excellent! The volunteers who visited Mum were perfectly matched - they had lots to talk about.” A comment by a user of our services.